You didn’t proofread? What were you thinking? Before the summer holidays, I bought a couple of easy-to-read books, knowing that I needed to switch off my editor’s brain for a while. I was not disappointed with the Reginald Hill ‘Dalziel and Pascoe’ mystery: tight writing, intriguing plot, evocative descriptions, smattering of words that I hadn’t met before, references to classical literature (and music, in this story). All in all, a very satisfying and enjoyable experience, and my editor’s hackles weren’t given a reason to rise. I couldn’t keep my editor’s antenna quiet when the author’s acknowledgment of the help of her expert included ‘…but because of a rush to get this book ready for the printers, he has not been able to check the MS…’ OK, so I can live with a few inaccuracies that don’t detract from the plot. Unfortunately, it didn’t take long for me to spot some typos – and I’m not talking complex grammar or punctuation. Most readers would notice missing quote marks at the end of dialogue, inconsistent spelling of character and place names, lack of subject–verb agreement. A final proofread would surely have rectified those simple mistakes. Although the story was enjoyable enough (despite the lack of surprises in the plot or character development), I won’t be buying any other books by that author. And I now question the professionalism and credibility of the publishing house. So what does this mean for you and your writing? Please have someone edit or proofread anything that will possibly influence your reputation. A potential client experiencing disappointment in your writing can decide not to use your product or service, simply because they wonder if your business is as sloppy as your writing. As difficult as I know it is, try to plan your writing tasks to include time for reviewing. I see so much writing that could easily move from the ordinary to the excellent because of a review by editor or proofreader. An earlier post gives insight into how editing adds value to your writing. What has been your experience with writing that could have benefitted from an editor’s eye for detail? 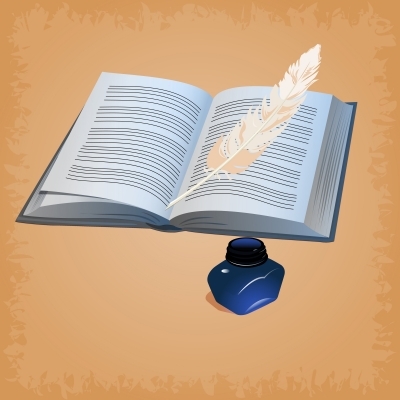 ‹ PreviousTechnical writing for non-technical readers – keep it simple! Next ›Are those pesky little words confusing your readers? I cannot believe a publishing house would not employ a proof reader. Either in-house or a specialist freelancer. You should have named and shamed them. I still shake my head that anyone, let alone a publisher with such a wide audience, would allow that through. And yes, I’d thought about name and shame, but didn’t want to end up in any sort of legal conversation. But I’m considering contacting them – perhaps they’ll hire me! Enjoy your reading and writing adventures. A great reminder to attend to the basics. One blogger I’ve watched since he began blogging, repeatedly fails to proofread before he posts. What he fails to realise is his blog reflects his own lazy habits. As well, it’s a lack of respect for the reader. Readers eventually wane when there is no evidence of personal growth, or attention to craftsmanship. As self publishers, there are things that get through. Despite our best efforts, a second set of eyes really brings out the best in your work. There’s no substitute for a second pair of eyes. Failing that, we should at least use the spell check. Thank you for your comment, Catherine – you’ve highlighted my thoughts from the readers’ perspective. And how I wish more writers would appreciate that! Writing is an essential skill across all professions these days – and proofreading is a basic component of that skill. I look forward to your words that accompany your extraordinary photographs. I know that when I rush to publish something, I inevitably have an error (or two) sneak in! Grrrrr. Maybe it’s because I want to achieve so much in my day or I’m so excited to get my idea out there…what ever the excuse, the more I rush, the increased chance of errors! When I draft and re-read I can capture quite a few of the boo-boos, but after re-reading and re-reading I know I begin to not see a thing. That’s where your keen eye and expertise comes in for me! On the work you’ve edited for me, although not a huge body of work, I know that I needed an editor to ‘treat’ it! You’re right, Sally, about not being able to see our own mistakes after a while. If we can’t get someone else to take a look at our writing, we need to at least leave it sit for a while, or read it in a different format (hard copy instead of on screen, for example). I’ve enjoyed sharpening your writing, especially as I know you value my help. As my mum used to say “haste makes waste”. Thanks Desolie, a great reminder to never let sloppy writing become okay. Thanks for so succinctly expressing that sentiment. It’s so very easy to press that ‘publish’ button, but that extra moment can make all the difference. I must confess I was about to post this blog when I noticed a typo – that would have been rather ironic, don’t you think? Hope to see you here again, and ‘happy writing’.